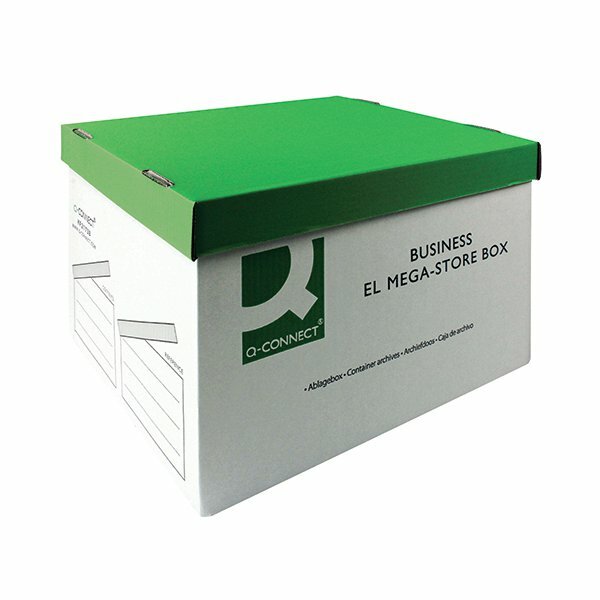 This Q-Connect Mega-Store box is supplied flat packed and features a simple pop up construction for fast and easy assembly. The box comes with a lift off lid and cut out handles for eay transportation, and features a heavyweight, double wall corrugated construction for additional strength. This pack contains 10 green and white storage boxes measuring W383 x D430 x H295mm (internal).